What are RazerCare Protection Plans? RazerCare Protection Plans extend your Razer product's coverage after the manufacturer warranty has expired. RazerCare also includes Power Surge Protection (Essential and Elite) and Accidental Damage coverage (Elite) from day one of your purchase. Additional program details can be found in the following FAQ's or by visiting razer.com/razercare. What is covered by RazerCare Protection Plans? RazerCare Protection Plans provide the same coverage as your manufacturer limited warranty, including mechanical and electrical failures from normal use. In addition, Power Surge protection is provided with both Essential and Elite plans and Accidental Damage protection is provided with Elite plans. What items are eligible for RazerCare protection plans? All new and refurbished Razer Laptops and Mobile Phones and new Headsets, Keyboards and Mice purchased from Razer.com by a U.S. resident and shipped within the United States. What countries can I purchase the RazerCare protection plan in? 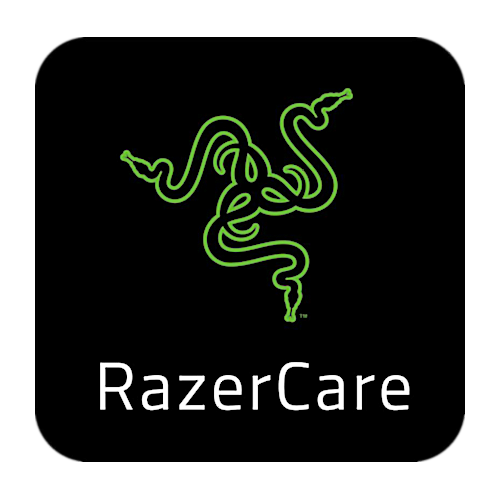 At this time RazerCare Protection Plans are only available to customers in the United States for laptops, mobile phones, headsets, keyboards, and mice purchased directly from Razer.com. When does the RazerCare protection plan begin? Power Surge Protection (Essential and Elite) and Accidental Damage (Elite) begin day one and the remaining coverage takes effect once the manufacturer’s limited warranty has expired. How long does RazerCare extend my coverage? How long does RazerCare extend my coverage? Laptop coverage is extended by 2 years for a total of 3 years protection. Razer Phone coverage is extended by 1 year for a total of 2 years protection. Headset, Keyboard and Mouse coverage is extended by 1 year for a total of 3 years protection. Once I purchase a RazerCare protection plan, do I need to register my product or do anything else? You’re all set at the time of purchase! Registration is automatic. Protection Plan terms and conditions will be e-mailed to you shortly after your product has been delivered. Do RazerCare Protection Plans cover Accidental Damage from Handling (ADH)? Do RazerCare Protection Plans cover Accidental Damage from Handling (ADH)? RazerCare Elite includes Accidental Damage coverage and RazerCare Essential does not. What is Accidental Damage from Handling (ADH)? ADH is defined as mechanical or operational failures resulting from accidental drops, spills, falls, and collisions that occur during normal handling. Where can I find the RazerCare terms and conditions? Your specific terms and conditions will be sent to you shortly after your product is delivered. General RazerCare terms and conditions can be viewed here. Is my RazerCare protection plan transferable to a new owner if I sell or gift my product? Yes, simply contact the RazerCare Protection Team at 800-210-2281 and they will walk you through the transfer process. If I previously purchased my Razer product through Razer.com, can I still purchase the RazerCare Protection Plan? RazerCare Essential can be purchased up to 11 months after product purchase and RazerCare Elite can be purchased up to 15 days after product purchase. For assistance with purchasing RazerCare after product purchase, contact Razer Customer Support. Can I purchase a RazerCare protection plan if I purchased my product somewhere other than the Razer Store website? No, RazerCare protection is only available for purchases made through Razer.com. Am I still covered if I lose my receipt showing I purchased a RazerCare protection plan? Yes, simply contact The RazerCare Protection Team at 800-210-2281 and provide the name and phone number you purchased the product under and they will be able to locate your proof of purchase. Can I cancel my RazerCare Protection Plan and receive a refund? Yes, you are entitled to a full refund for the first 60 days and a prorated refund after that, less any claims paid. Is there a deductible I have to pay on any repairs under RazerCare? There is no deductible on repairs or replacements for laptops, headsets, mice or keyboards. Repairs for mobile phones have a $25.00 deductible and replacements for mobile phones have a $150.00 deductible. How do I file a claim with RazerCare? You can call The RazerCare Protection team at 800-210-2281 anytime -24 hours a day, 7 days a week, 365 days a year. What information do I need to submit a RazerCare claim? All you will need is the phone number used when the purchase was made, and the product that you purchased with RazerCare. The RazerCare Protection Team will walk you through the process. How does my product get serviced with RazerCare? Laptops and Mobile Phones are serviced through Razer Repair Centers. We will send you a prepaid shipping label and ship your product back to you once the repair is complete. Peripherals are replaced with a new unit with shipping included, it’s that simple. When I make a claim with RazerCare, how long does it take to repair my product? We strive to have your product repaired and returned to you within 5 business days from the date your product is received by our repair facility. With RazerCare, who pays the shipping fees to and from the repair center? Shipping fees are covered by Razer as long as the product is being shipped to and from a U.S. address. Is there a limit to the number of claims I can make? No, we will cover claims up to the purchase value of the device. For example, if you have a laptop with a purchase value of $1,999.99, and the repair costs are $249.99, then you will have $1,750.00 remaining for potential future claims. Peripherals are replaced with the same or comparable unit. If my product gets replaced, does my protection plan come to an end? Yes, if your product is replaced it ends your protection plan for that product. What if I have a problem with my Razer product when I’m traveling outside the United States, can I still use my RazerCare Plan? Your protection plan benefits are limited to the Unites States. If you have a concern outside of the Unites States, we can still assist as long as you provide a U.S. address to ship the product to and from. You will be responsible for expenses incurred shipping your product to the U.S. and back to the country you are in if required. With RazerCare, can I have my phone or laptop repaired anywhere? The RazerCare plan provides exclusive access to authorized Razer repair centers. No other repair centers will be authorized to repair your unit. Should your unit require repair, please contact The RazerCare Protection Team at 800-210-2281 and they will arrange to have your unit shipped to an authorized repair center. Shipping charges are on us. We cannot reimburse you for any repairs made outside of the normal claims process.